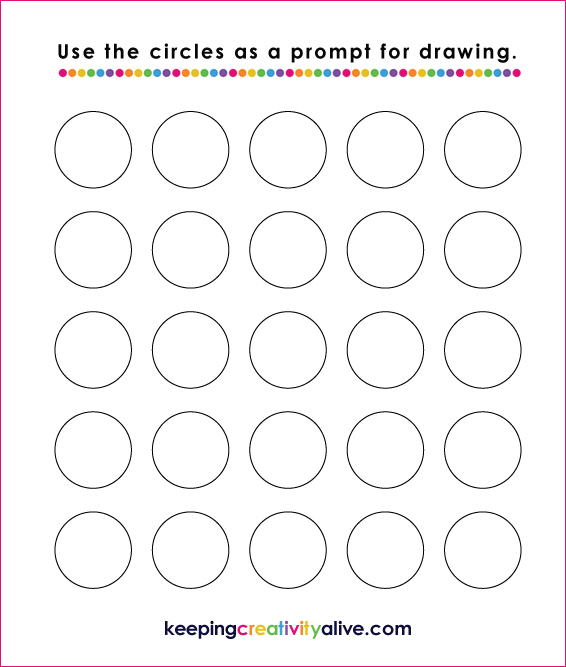 Enjoy our FREE tools provided to help you nurture creativity in yourself and the children in your life! Check back often as we are always adding new items that you can add to your creativity toolkit! Sign up for our Newsletter (below) to stay up to date on information, inspiration and tips! Creative problem solving process and tools are essential skills for facing challenges. Equipping students to solving problems independently is the goal of this workshop. Children will learn ways to work together to diverge and converge, develop their thinking skills to formulate challenges, explore ideas, formulate solutions and formulate a plan. This workshop shifts mindsets and may spark new thinking like you’ve never seen before! The biggest challenge for educators is figuring out how to bring creativity into an already packed classroom schedule with content and material that need to be covered. Brilliantly, E. Paul Torrance developed a Creative Teaching and Learning model to develop creative thinking skills while teaching content. It’s called the Torrance Incubation Model and you can learn more about it through our Online Workshop – Teaching Creativity in the Classroom > Coming soon! What are all the ways to promote creativity in the classroom? This session will cover what creativity is and will dispel creativity myths. We will use Mel Rhode’s 4 P’s of creativity to accelerate our understanding of creativity and consider ways to apply our learning to the classroom setting. You will also learn about creative problem solving (process + tools) used to practice deliberate thinking skills and inspire you to think about ways you can promote creativity in your classroom! Ackerly, R. (2012). The genius in every child. Encouraging character, curiosity, and creativity in children. Guilford, Conn: Lyons Press. Amabile, T. M. (1989). Growing up creative. Nurturing a lifetime of creativity. Buffalo, New York: The Creative Education Foundation. The main point of the book Growing Up Creative, according to author Teresa Amabile is this: creativity is impossible without that inner spark. “As long as they have a spark, everyone can be creative.” This classic and important book on nurturing creativity details what children’s creativity is, and how you can recognize it, the basic components of children’s creativity and stages of the creative process, the importance of motivation in creativity, how home and school environments can destroy children’s creativity, and several specific techniques that parents and teachers can use to keep children’s creativity alive. Armstrong, T. (1991). Awakening your child’s natural genius: Enhancing curiosity, creativity, and learning ability. Los Angeles: J. P. Tarcher. 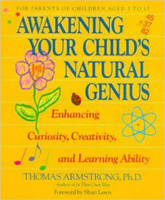 Armstrong provides a solid resource and practical application guide for parents of children aged three through twelve who are interested in assisting their children in realizing their full potential as natural learners in life. Each chapter provides background information, expert opinion, research studies, and other materials to instruct parents about a core issue in the field of learning. A section within each chapter titled What Parents Can Do gives practical suggestions for implementing the ideas discussed. The goal of this book is to stimulate parents to become more involved in their children’s education at school, and to motivate parents to regard the home as a learning place that is even more vital to their child’s educational future than school. An excellent guide for both parents and teachers! Bruce, T. (2004). 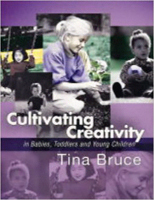 Cultivating creativity in babies, toddlers and young children. London: Hodder & Stoughton. This text used for programs in Early Childhood Studies is handbook for encouraging creativity in babies, toddlers and young children in any setting, including the home. Topics covered include understanding creativity and creative learning, creating an environment that cultivates creativity, cultivating creativity in toddlers and the role adults play in helping creative ideas flourish. The text is grounded Winnicott’a 1969 theory that suggests the highest forms of thinking begin in a social relationship; a relationship in which the baby and adult are together but allowing personal space in which the baby can discover how to be a creative, thinking, reflective person. The premise of this book is that in order to be creative we need to feel sufficiently emotionally safe to go on creative adventures of our own. According to Bruce, adults play a critical part in whether or not children become creative people and the first seven years are a crucial time in cultivating a child’s creativity. Burnett, C., & Dawson-Globus, M. (2015). My sandwich is a spaceship: Creative thinking for parents and young children. Buffalo, NY: ICSC Press. My Sandwich is a Spaceship: Creative Thinking for Parents & Young Children is an excellent resource for ways parents can maximize childrens’ creative thinking skills to prepare them to navigate this rapidly changing 21st century world. Divided into two parts, part one focuses on the creative parent and ways to foster more creative thinking in everyday life. 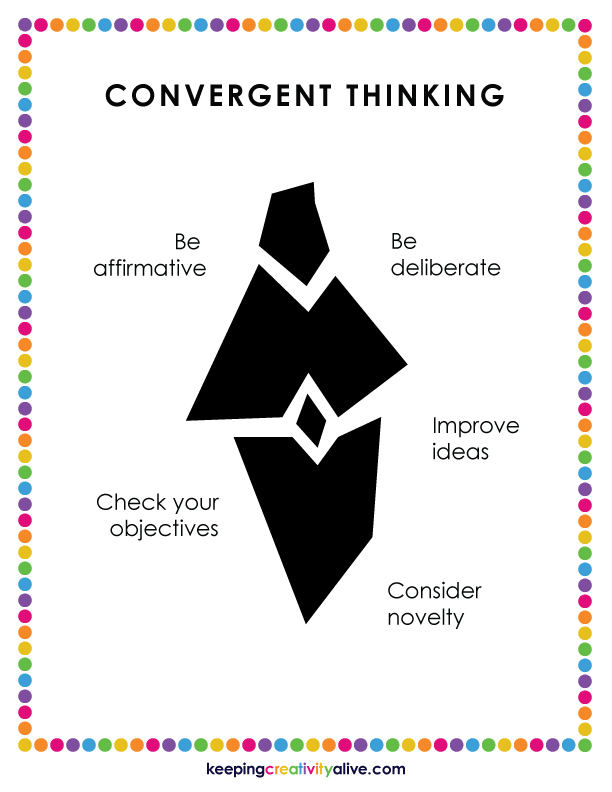 Part two focuses on providing ten creative thinking skills that are important for the future. Each of the ten creative thinking skills contains a quote highlighting the essence of the skill, an explanation of the skill and why it’s important, a story that depicts the skill in action, language parents can use to boost problem-solving vocabulary, behaviours to bolster parents’ creativity, a wealth of ideas for activities to dig deep and experiment with the skill and suggestions for continuous development. A great resource for parents with young children! Cameron, J., & Lively, E. (2013). The artist’s way for parents: Raising creative children. New York, New York: Jeremy P. Tarcher/Penguin. The Artist’s Way for Parents focuses on creative cultivation to awaken a child’s sense of wonder while reawakening that of the parents in the process. This book is about helping children turn their passions into art and encouraging self-expression. The authors acknowledge the importance of a parent replenishing their own creative stores while nurturing those of their children in order to cultivate a lifelong passion for creativity and creative process. Consisting of twelve chapters, each covers aspects of creativity for cultivation, including: safety, curiosity, connection, limits, self-expression, inventiveness, conscious inflow, focus, discovery, humility, independence and faith. Carlson, G. (2008). 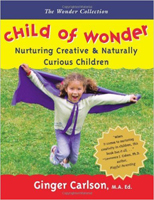 Child of wonder: Nurturing creative & naturally curious children. Eugene, Or: Common Ground Press. Child of Wonder considers the whole child in its approach to nurturing creative and curious children by offering activities easily adapted to a variety of learning styles. 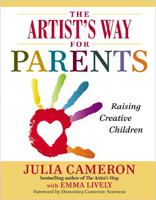 Carlson starts the book with a letter to the reader that points out that children are creative by nature, yet scores of materials exist for adults who want to tap into and recapture their creative sides. This book is about looking at how we approach parenting, how to encourage characteristics of creativity in your home, discovering practical ways to set up an environment that will help children think and create more, learn the art of questioning to lead children in critical thinking, problem solving and self-reflection. Cassou, M. (2004). 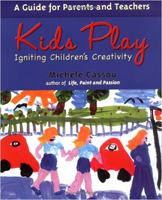 Kids play: Igniting children’s creativity. New York: J.P. Tarcher/Penguin. A book for parents and teachers, Kids Play explains how the creative process works and explores the most conducive context for creativity. Suggestions include what parents and teachers can do during the stages of creation, what to avoid in safeguarding children’s creative inspiration and how guiding children can be an opportunity for adults to rediscover their own creativity. Cassou calls the creative force or source of creation, that which focuses on the process and inner flow with freedom, Point Zero. The Point Zero method is designed to free children from their fear to create and to fulfill their creative potential. Dacey, J. S., & Packer, A. J. (1992). The nurturing parent: How to raise creative, loving, responsible children. New York: Simon & Schuster. 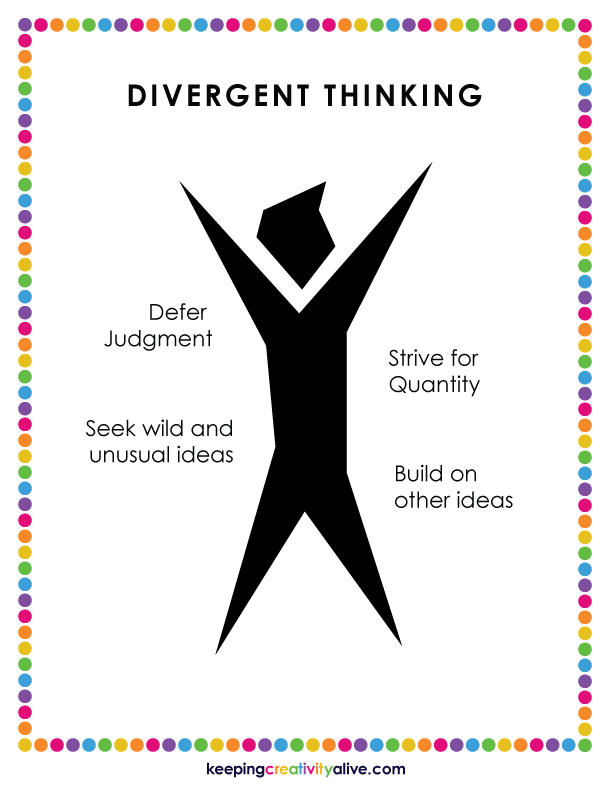 Based on a four-year research study looking at the causes and influencing factors of creativity in young people, this book provides a description of the study, identifies ten traits of thinking and personality that creative children possess, and shows how to encourage their development. Dacey and Packer discovered a type of parenting style in which they call the ‘Nurturing Parent.’ Six fundamental principles for raising children who are creative, responsible and empathetic are discussed: trust, respect, support, enjoyment, protection and role modeling, as well as how to best protect children from the forces that destroy creativity. Daniels, S., & Peters, D. B. (2013). Raising creative kids. Tucson, AX: Great Potential Press. Raising Creative Kids provides information, ideas, and strategies for nurturing creativity in children for parents. Specifically this book covers types of creativity, components of the creative process, creative personality traits, and strategies for cultivating creativity in children. In addition, the authors discuss how to use mindfulness to help children reach their fullest creative and life potential through a parenting style researchers Dacey and Packer call the ‘Nurturing Parent.’ An approach said to contribute to raising creative and productive children. Engaging, easy to read and based on the latest research in the psychology of creativity, this is an important book for supporting parents in raising children in the 21st century. Doorley, R. (2014). Tinkerlab: A hands-on guide for little inventors. Boston: Roost Books. Doorley’s Tinkerlab is an exceptional resource for parents looking to encourage experimentation, exploration, testing and play in kids. Aimed at parents of young children up to age six, this book provides a great range of information and inspiration through four sections: prepare, experience, build and discover. Parents are introduced to Csikszentmihaly’s flow, Dweck’s mindset and several other psychological expert theories. Full of imaginative and fun ways of exploring various creative thinking skills, parents reading this book are sure to be inspired and motivated to set up self-serve spaces at home and creative invitations to make tinkering experiences available for their children. Based on decades of research on achievement and success, the book Mindset reveals how established attitudes affect all aspects of one’s life. Topics include why people differ, the two mindsets: fixed and growth, how mindsets change the meaning of failure and effort, mindset and school achievement, the mindset of a champion from a sports perspective, mindset and leadership from a business perspective, mindsets in love (or not) from a relationships standpoint, as well as understanding where mindsets come from (parents, teachers and coaches) and how to change mindsets. Renzulli, J. S., Reis, S. M., & Thompson, A. (2009). Light up your child’s mind: Finding a unique pathway to happiness and success. New York: Little, Brown and Co.
Based on the renowned Renzulli Method, which has been adopted in schools all over the country, Light Up Your Child’s Mind presents a practical program to help children fire up a love of learning to last a lifetime.